We've had the pleasure of testing lots of different home security set-ups over the years. One thing we've noticed is that although they are mighty handy to have in your home, they can be tricky and overly technical to install. 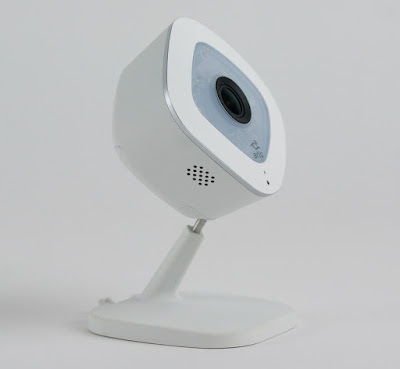 Netgear are attempting to fight that problem with an extremely simple home security camera. 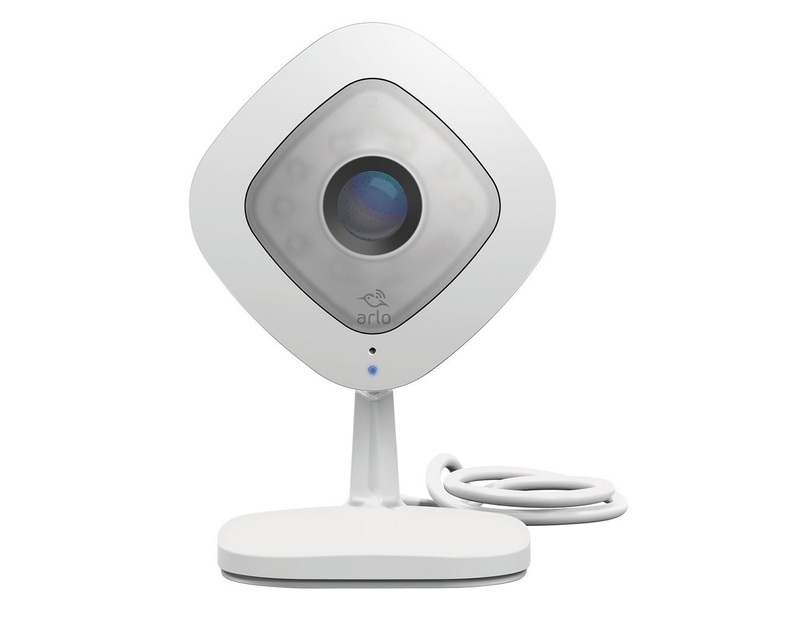 We review the Arlo Q. 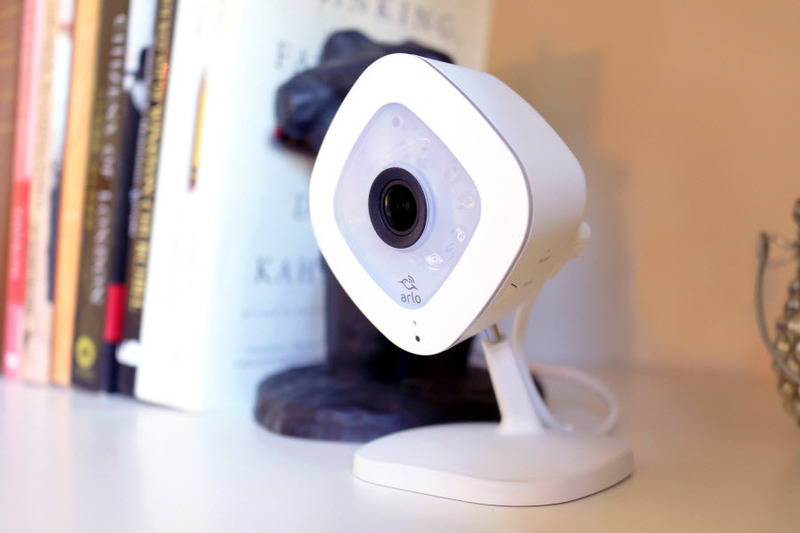 Small and thin, the Arlo Q is probably the tiniest HD security camera we've ever looked at. The unit itself is smooth and curvy, and small enough to be positioned with a great deal of subtlety. It's diamond-shaped face comes attached via ball joint to a mount, which can either be used to stand the cam up on a level surface, or affix it to a wall. And don't worry about placing the camera too high either, as it comes with a three metre USB power cable that plugs straight into a wall socket. And hey, once you've done that, just hit the WPS button on the back. We love a good old WPS connection, so it's nice to see it being used on a camera. Within seconds we had downloaded the Arlo app (iOS and Android, obviously) and connected the camera to the WiFi network. Easiest. Setup. Ever. Then we got to check out the recording features themselves. The NetgearArlo Q can capture images in full 1080p HD at 30 frames per second. That is good, especially as a lot of other WiFi security cameras sell themselves as “HD” but only record at 720p. 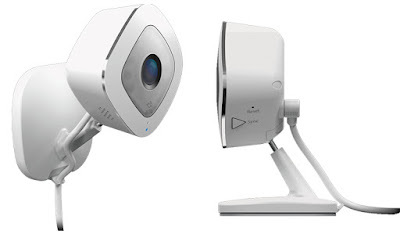 Furthermore, the Arlo Q has a 170 degree field of view, which – again – is very good. Once mounted, you can connect to it with the app and see the cam's live feed wherever you are, even at night. The infra-red lights around the lens come on automatically in low light levels, and the camera can use that night vision to see quite clearly for about 20 to 30 feet. Basically if you have this monitoring a single room, it'll completely cover it. You can also set it to record if it detects any motion, with clips being saved to the cloud-based Netgear servers. Having your clips saved for a week is free, but if you want to keep them for longer, or connect more than a few cameras to it, you'll have to pay. Even then, the most expensive plan is £9.99 per month which covers 15 cams, allows storage of clips for up to 60 days, and gives you 100GB of space. If you run a business, and will be installing a few of these, that's a pretty sweet deal. The Arlo Q also features two-way audio, something we haven't seen in a security cam of this price and size since the Samsung Smartcam HD last year. It allows you to listen through the cam's microphone, and then speak through the speaker. We're not saying you'll use this to spook burglars (although...) but it is nice to have, if only to scare the crap out of your family and house-mates. If you've ever owned or used something like this before, you'll immediately notice that Netgear have built a quality product here. 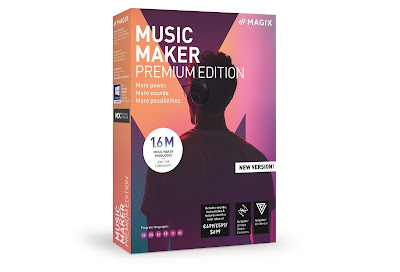 The app connects to the live stream quickly and smoothly, even when over a cellular connection, while the recorded footage is bright, crisp and clear. It seems very robust as well, and we assume that even leaving it to gather dust in the corner of your living room wall for a few years will do it no ill. However, the Netgear Arlo Q is very much an indoors-only camera, and even if you were hoping to angle it to point out of a window, the nocturnal glow (and reflection back off the glass) of the IR lights will put a stop to that. But as a stay-indoors security measure, it is great. Small enough to position stealthily and not make yourself look like a paranoid loon with cameras everywhere around your home, yet powerful enough to get detailed images every time. Well played, Netgear.